itch.io Community » Game Development » Help Wanted or Offered · Posted in [Art][unpaid][short-term] Serious-game team looking for 2D artist. itch.io Community » Game Development » Help Wanted or Offered · Created a new topic [Art][unpaid][short-term] Serious-game team looking for 2D artist. Thanks for letting me know! It's GameMaker indeed. I had issues with Windows Defender before, but setting Company-/ Product-name for the games seemed to solve the issue back then. I'm going to try your solution! 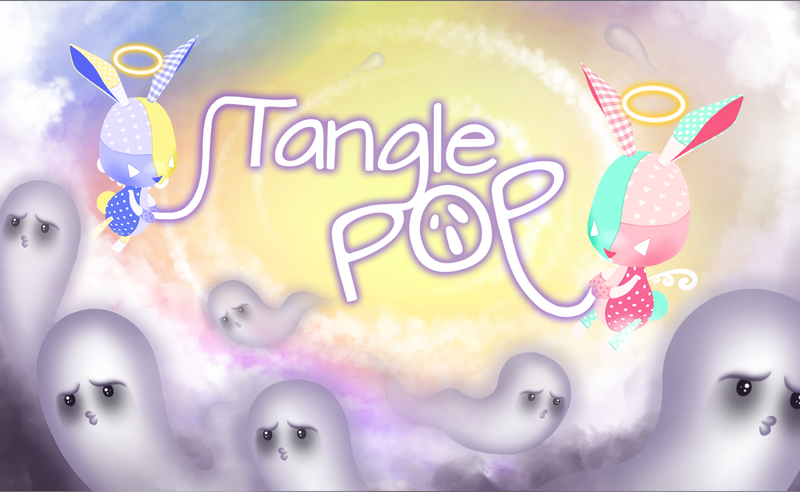 itch.io Community » Game Development » Release Announcements · Created a new topic Entangle ghosts together, all you have is a devine string and a strong Bond: Tangle Pop is available now! Hey Everyone, my team and I just released Tangle Pop! Tangle Pop is a cooperative ghost hunt for two players, using a devine string to entangle ghosts. The game requires the players to work together and communicate lots to coordinate their hunt. Tangle Pop features 3 varied levels, support for keyboards as well as gamepads and runs on Windows. We had a lot of fun making it (in fact, we're about to add some extra content soon) , and we hope you'll have a lot of fun playing it! Lastly, here's a gameplay video showing the first level of the game! Really neat, the car controls take some getting-used-to, but after a while i was able to outrun guards and make it to the exit! This window will open. Click Start - Choose Projects Directory. In this window, navigate to the folder all your projects are saved in. Usually it'sin C:\Users\<<username>>\GameMaker\Projects. 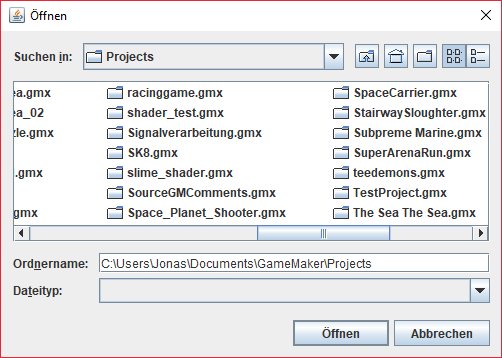 The Program will search all subfolders for scripts and objects. Click Open to select this directory. Wait. Depending on how many things your directory contains, the process of searching for comments might take up to a full minute. After the process is finished, a text window will open, containing all the contents you need for your bot! This file is also saved inside the directory you chose earlier. Head over to https://cheapbotsdonequick.com/ and sign in with the account you want to use for your Twitter-bot. Delete everything from the Tracery JSON textfield. Copy-Paste all the content of the textfile you generated before into the Tracery JSON textfield. Adjust the settings at the bottom to match your preferences and click SAVE. Congratulations! You just created your own comments-bot! cute!I loved the the "build up" of all the odd creatures describing to you what they found. Thank you for playing! We're always glad to receive nice feedback! Nice colour-scheme, the input recognition felt a bit clunky at first, but I got used to it and eventually beat a few levels in a row. Maybe it could be a good idea to have short sounds/flashes for each beat so it's easier to adapt to the speed of the beat. Absolutely impressive, graphics, sound and gameplay fit together nicely and create a great atmosphere. My only complaint is the guns being too strong against big groups of enemies, making the sword basicly useless. A truely great game overall, especially considering it's just a gamejam entry. Interesting idea for a puzzle game, swapping the tiles around and seeing the result was fun. Had to turn off the sound though, I know it's meant to be glitchy, but I just could'nt stand it longer than a couple of minutes. Had a lovely time exploring the mountain, the mood of your game is really fitting, it feels natural and peacefull but still there is a certain tension to it. Had great fun roaming the vault, the mood is superb! Keeping track of booth screens at once wasn't that hard for me either, but I can imagine increasing the number of text messages you receive (maybe in big waves and by different persons?) could foster the feeling of overtaxing. Eventhough adding different persons to the story might take away the personal and close mood your game has. However these are just my suggestions, I have no doubt there are many different ways you could take on expanding this project and improve it even further. I really like this kind of experimental game letting you space for interpretion. There are basicly to things I espeacialy liked about your game and support it's message: First is the constant "struggle" of keeping up with what's going on on both sides of the screen as you do not want to miss out on anything. (Maybe you could have made this a bit harder though). The second thing is the uncertainty you have before interacting with other shapes, which fits your game nicely. All in all a truely worthy entry, keep it up! Quite simple but still entertaining, nice idea regarding the "inverted darts game"
I'm Jonas and I'm currently studying Media Informatics in Flensburg, Germany! If you're interested in a Game Jam project, there will be the A Game By It's Cover Jam 2017 around late June I'll most likely participate in. It's a Jam where you make real games inspired by fake cartridge-art from the Famicase-exhibition and lasts usually around three weeks. If you're interested in making a game together, you can send me an email at jonasmumm [at] web [.] de ! 🍉 Melon Game Jam 🍉 community · Posted in Anyone in need of an artist? Hey Liva, are you sill available for work on a game? I'm about to start working on a small action-platforming game, hit me up if you're interested! Just a heads up, there seems to be something wrong with your zip-file? Tried downloading it from the app and my browser, booth times it threw me an error. 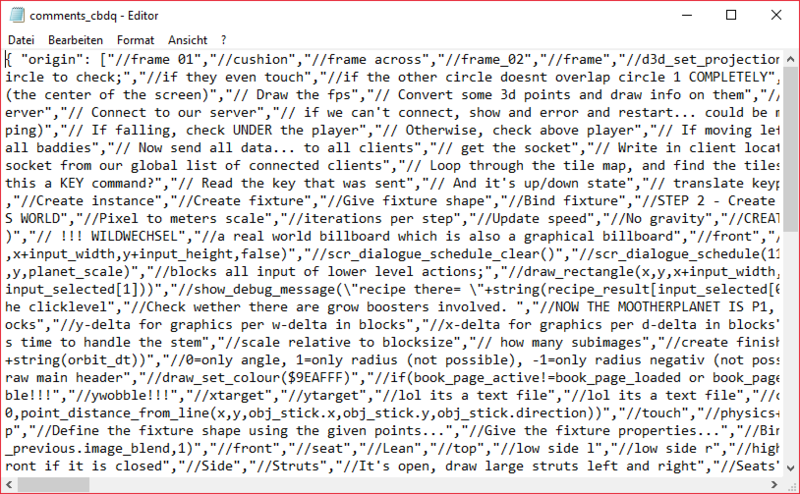 itch.io Community » Game Development » General Development · Posted in GameMaker Studio Errors Help! Without having watched the video myself, have you initialised the 'aggroRange' variable in the create event 'obj_enemie'? If you did, you might have set it to be a string instead of a real number? If it's still not working, you might wanna set 'aggroRange' as a global variable in some controller object to be sure it really exists and can be easily accessed (and changed) by all instances. Also I agree that you will propably get the best help on this topic at yoyo's own forum. Awesome! Loved the aesthetic and the controls, very well done! #LOWREZJAM 2016 community · Created a new topic Resolutions other than 64x64? Booth entertaining and stylish, nicely done! I'm Jonas from northern Germany, and I'm currently in my final year in the German equivalent of high school. 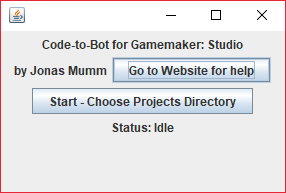 I've been making games using Scratch for quite some time (propably about 5 years) until a year ago when I steped up my game a little (hah) and started working with Gamemaker Studio (Not the most advanced software out there, I know, but comming from Scratch Gamemaker seemed like a really good place to get started with more serious game making). Since then I really enjoyed creating a few smaller games in my freetime, aswell as participating in gamejams like Ludum Dare. Right now I'm actually working on an educational app for mobile phones, but I can't wait to return to actual game development soon! Looking forward to getting to know you all in the forums!